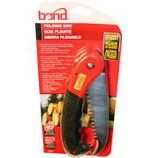 Ideal for cutting thick branches up to 1.5 inch diameter. Fully hardened precision-ground steel blade stays sharp even through heavy use. 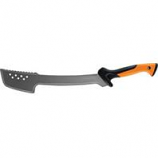 Low-friction coating helps the blade glide through wood prevents the blade from gumming up with sap and debris. Softgrip touchpoints enhance comfort and control. Steel construction provides lasting durability. • Quick and Easy To Use On Any Surface. 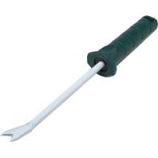 Multi-purpose gardening tool. Planting and cultivating. Stainless steel blade with easy to read markings. 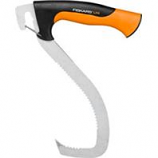 Serrated edge saws through plants and roots. 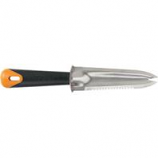 Sharp edges for easy cutting and digging. Rugged sheath for safe storage. 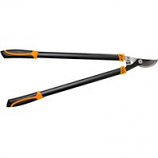 Powers through branches up to 2 inches diameter with ease. 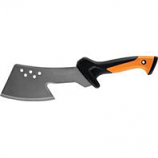 Fully hardened steel blade stays sharp through heavy use. 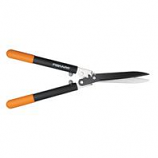 Low-friction blade coating helps the blade glide through stems and branches for smooth cutting. Aluminum construction provide lasting strength and reduced weight. Blade coating helps the blade resist rust. 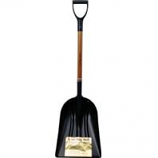 Ideal for digging when planting taking up plants turning earth and more. 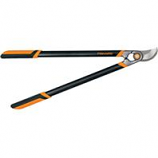 Extra-large handle with softgrip provides exceptional grip and comfort. Extra-large polished cast-aluminum head with sharp edge moves more soil faster resists rust and cuts through tough turf. Durable design wont break. Handle hang hole provides easy storage. Ideal for cutting thick branches.. Power-lever technology gives you up to two times more cutting power than traditional single-pivot loppers.. 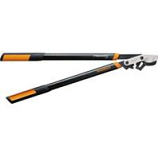 Extendable handles make cutting high branches or cutting at awkward angles easy.. 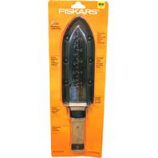 Fully hardened precision-ground steel blade stays sharp even through heavy use. 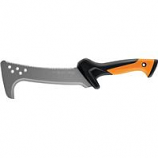 Low friction coating prevents the blade from gumming up with sap and debris and helps the blade resist rust.. 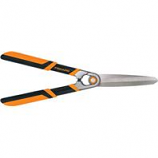 Maximum cutting capacity: 1-3/4 inch diameter. Glide through branches up to 2. Forged steel construction offers superior strength and lasting durability. Replaceable-blade design keeps cutting smooth and clean. Textured Softgrip touchpoints enhance comfort and control. BYpass blade style. 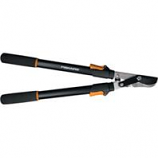 Easily shape a variety of shrubs with ultra-durable hedge shears featuring a replaceable blade and a performance-enhancing l. Forged steel construction offers superior strength and lasting durability. Replaceable-blade design keeps cutting smooth and clean. Textured Softgrip touchpoints enhance comfort and control. Blade can be sharpened for long-lasting value. Easily drag and stack logs with a tool boasting a toothed steel head with a curved hook for superior grip. Blade features a pointed hooked beak and toothed edges to help improve grip even in icy or slippery conditions. Handle flare keeps the tool firmly in your grip. Longer FiberComp handle helps insulate against the cold. Handle hang hole offers easy storage. Quickly grab and turn logs with a rugged boron steel hook featuring a toothed blade with a sharpened tip for better grip. Bent handle makes lifting and carrying logs easier. Sculpted non-slip handle improves comfort enhances control and helps insulate against the cold. 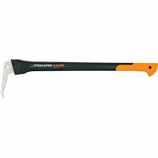 FiberComp handle is lightweight and durable. Includes convenient holster for safe storage and transportation. Epoxy-coated steel construction. Durable vinyl handle. 11.5x1x1.5. 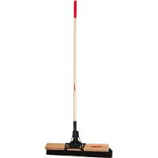 . .
For sweeping debris on rough surfaces. 24in. Broom head width with 3 in. coarse bristles. 60 wood handle with 1-1/8 diameter and end grip. Clear coated wood block for weather resistance. Heavy duty steel brace with 7-1/2 inch long socket reinforced and screwed onto broom head. 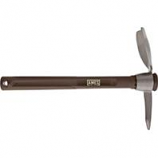 Multi-use tool that digs and scoops in all soil types ideal for planting annual plants and perfect for flower bed use. Forged steel head for strength and durability. Fiberglass handle for added leverage. . .